Sportpesa is undoubtedly the leading betting in Kenya. Its success is like the national anthem; everyone knows it. Five years back, however, Sportpesa wasn’t the household name it is today. Its blooming is thanks to its managerial team who knows when and how to take advantage of the internet growth in Kenya. Today, Sportpesa is involved in so many activities that we can hardly exhaust them. For instance, we all know it sponsors our Kenya Premier League (KPL) for another couple of years consequently naming it Sportpesa Premier League. GorMahia and AFC Leopards, both local soccer teams are also beneficiaries. As is the Kenya Rugby Union. Hull City recently named them their official sponsors where they got an offer for a Ksh100 Million ($1 Million) Britannia Stadium upgrade and Arsenal named them as their official betting partners. That’s just to name a few. What a resume? Owned by Pevans East African Ltd and licensed by Betting Control & Licensing Board (BCLB) under the Betting, Lotteries & Gaming Acts, Cap 131, Laws of Kenya under license number: 806. Visit the website to sign in click register and follow the steps. By SMS however follow the steps displayed below as per the website. 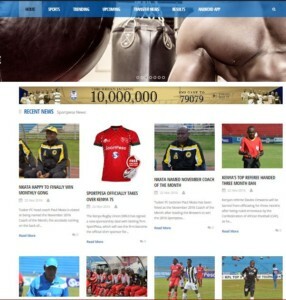 The Sportpesa website is a state of the art. You get a homely feeling every time you visit the site. Everything is where you would want it to be. The aesthetics will leave your eyes glued to the screen and amazingly, in one swipe through the home page you shall get an insight as to anything you could think important in a betting site. The log in panel is visible on your right and the pay bills for your depositing information is well displayed just below it. Facebook, twitter and YouTube buttons are there for the social. The betting slip just where you would expect it and your balance in plain sight right next to the deposit button so that you did not have to hustle match to find it. What dazzled me is the user interface. When there was a network error, I got this soccer-ball headed arm-folded soccer player figure saying “well, that caught me offside.” I mean, that’s the kind of integrated dedication into the type of services they offer, you would expect from a leading site anywhere. 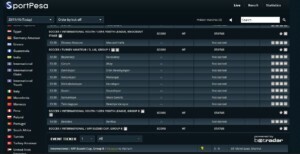 The help console explains anything you want to know about how to go about the site and the whole betting stuff. Hence, you don’t get a FAQ console. 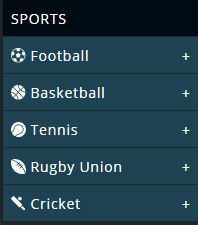 Sportpesa gives you a free news website link on their menu, powered by themselves, of course. Here, you get unbiased local and in ternational news on the games featured in their betting site. There have a statistics webpage which gives a simulated view of results from the past games available in their site. Also a results page where you can search for any game you need info about. At the feet of their site you get a prestigious display of their partners and those they sponsor. On your lower left is a panel for favorite teams. Sportpesa cannot be described without the mention of their overwhelming weekly jackpots. The over a 100 Million Mega Jackpot that scales the heights of above 140 Million is every Kenyan punters dream. It accumulates though each week after the lack of a winner. To take part, you need to click the sliding jackpot advert from the top center, or click the jackpot button on the menu. Choose either a home win, away win or a draw for all the matches available and stake Ksh100. Then pray to be a millionaire by the end of the week without sweating. Bold. Not many sites in Kenya have this. The popular Pambazuka National Lottery with numerous gifts and jackpots of over Ksh10 Million and Mzooka Jackpot of above Ksh100 Million. Just visit the page by clicking the lotteries button on the menu or the Pambazuka advert in the lower right side of the site. Every time you refer a friend to the site, and by refer I mean feed the site with their phone number so that they can get a code that they should sign up with, you get an undisputed Ksh100. In Sportpesa, tomorrow might be the birth of another promotion so be vigilant, which is easy because the site is never shy to promote the promotion everywhere. Without sports and lotteries, Sportpesa as an online bookmaker is as naked as a washroom lizard. But with the two, everything changes. Chances of making money are higher every time you make it your business to be passionate about sports. True there are only like six types of games to choose fro m, but honestly only a few of us Kenyans give a damn about, say, ice hockey or badminton. So let’s call it short and precise. The list of sports that is. Leagues and championships and the number of matches per sport however is over the roof. It is a good thing this covers for the initial shortcoming because most bettors are either one or two sports diehards. Give them a lot of one thing and they will wallow in it. Markets also are incredibly a lot. Each match has a lot of gold mines if you have the skills to pan it. For instance, there’s the 3 way, over/under 2.5 goals, goal/goal, double chance, 3 way 1st half, correct score 1st half, halftime/fulltime, total goals, over/under 1.5 goals etc. and each of this could have up to 10 submarkets. This markets’ odds are also pleasing to the eye. Sure, they might not be the best odds in this line up but if you know what you are doing as a punter, you will close the deal with a generous helping. Fancy, they have their own android app and they will not singing about it until every Sportpesa bettor has one in their smartphone. Might as well join in their song. It is simple; that’s what a phone application is supposed to be. But again you can do over 80% of what you can in the site, only cheaper. It is better because you can carry it everywhere with you. The mobile version of the website is as homely as the PC version. Maybe it’s because they were brought up together. Many sites tend to only stick with the website themes and dump all the other cool stuff. Perhaps they fear loading it on the phone will be impossible or it shall drain all the bundles with this painful economy of ours. Nonetheless, Sportpesa has been able to maintain same aesthetics, same architecture, and same convenience in maneuvering around the site without a glitch in loading and without developing a sinkhole for the bundles. 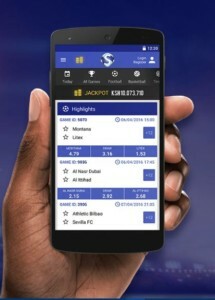 SMS betting in Sportpesa is as expected growing in a speed breaking pace. This is good news for those with featured phones that cannot access the website, or that one time Facebook or/and Twitter or even better, an analyzing site has gulped all your bundles. Meaning you have no reason not to place your wagers. Below are the procedures for SMS registering, depositing, betting and withdrawing. It might be because of the tried comparison to other site, which is our job, but we feel Sportpesa’s Live Betting is a bit complicated. For first-timer, getting the concept might take a decade which definitely they don’t have considering the game is due in less than 90 minutes. 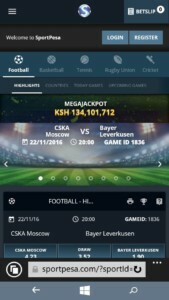 But if you manage to get the concept however, you get to enjoy one of the best live streaming and betting in Kenya sites. The variety is a copy paste of the pre-match betting. Markets are a darling and a lot. The experience is not as bad as you might have thought in the beginning. Betradar, who happens to be behind the live betting site have done some quality work. This is the only site that is so universally dear to Kenyans in terms of banking. You get the top three options of Kenyan money transfer; Mpesa, Airtel Money and Orange. Here are the steps of depositing money into each. 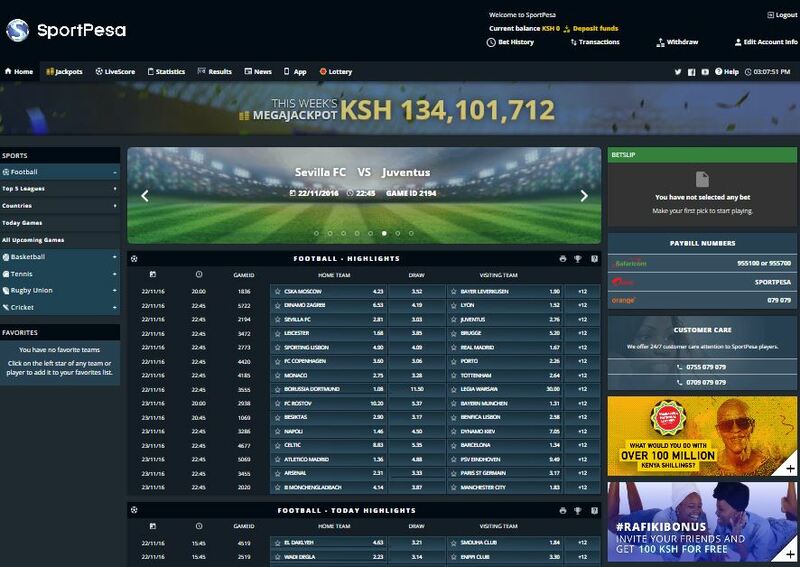 Sportpesa ensures safety of transactions by use of GoDaddy Verified Security. 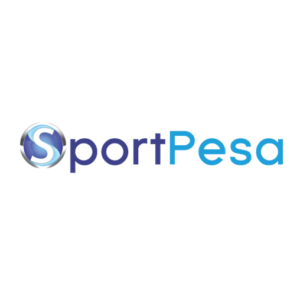 Sportpesa’s Frequently Asked Questions involve how to access services through SMS and website, all answered in the course of the review. Judging by the above review, it is pretty clear why Sportpesa is our overall best online betting site in Kenya. They are all rounded. Have played special attention to every single detail in terms of features that might help in making your betting experience unforgettable. Also revised their betting options, odds and markets to increase the chances of you winning if you know your way about in tricks and pointing out opportunities. However Sportpesa should do something about their sign up bonus and benefits, maybe even decrease the minimum amount you can stake. That said we are glad to declare Sportpesa the undisputed winner backed also by its popularity.